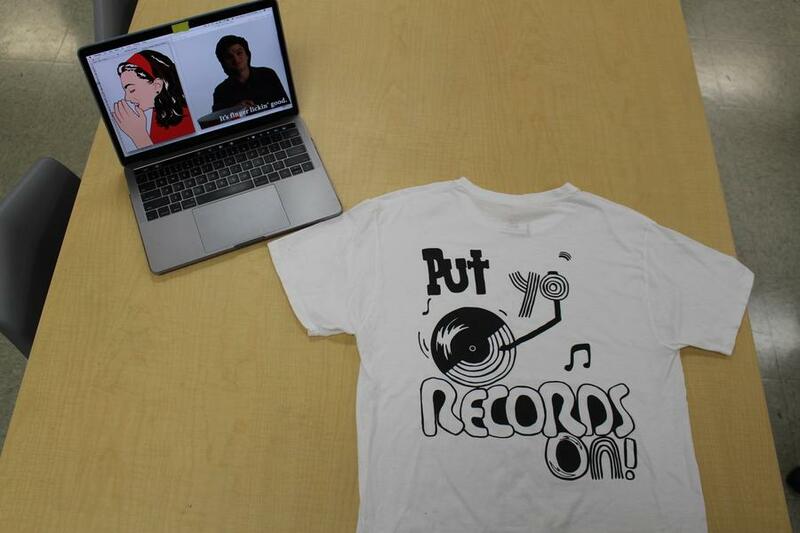 Coppell High School student Isa Droz uses creativity to create designs. Droz profits from selling these designs on Redbubble. Babysitting, tutoring and working fast food restaurants are all common ways high schoolers fatten their wallets. 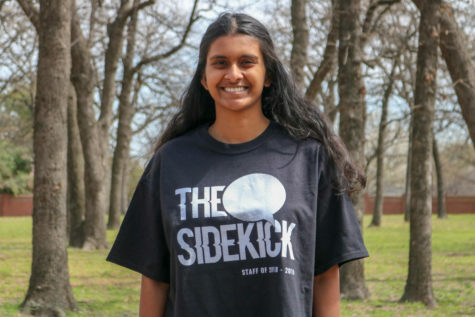 However, Coppell High School senior Isa Droz channels her passion into a more unique method of earning money: selling original designs on Redbubble. Redbubble is a website used worldwide that started in Australia and has offices in California. The site features a variety of art submitted by anyone who chooses to do so. Droz has been on Redbubble for months, and almost everyone in her personal life is aware of her sales, as well as the fact she profits from her designs. 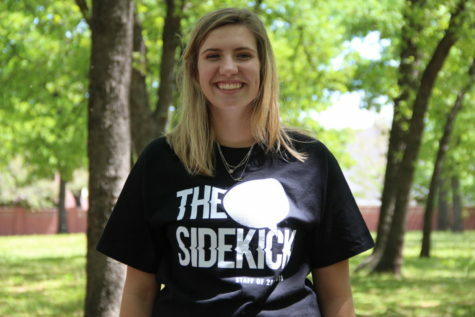 Her products can be found on her profile, “isadroz.” She plans to continue selling during college and beyond. What are the different things you sell on Redbubble? I sell my own designs of digital art, and I sell funny stuff that are very popular on the Internet. From those designs, there’s a lot of products that buyers can choose from. It can be shirts. Mainly, stickers is what I sell. There’s also sweatshirts [and] pillows. Have you taken another art class, other than the one you are taking now? How have they helped you with your Redbubble creations? I have taken AP studio art [and] drawing. It has helped open up my view of how to make something visually appealing and design-looking. Especially the 2D class, it [has] helped me go on a different route creating art. I really like this route. When did you begin selling on Redbubble? I’ve had an account for a while, since April. I started selling in November. And at first I thought it wouldn’t be much of a success, but it’s been pretty good. Have you always liked creating things? I’ve always wanted to put stuff out there and see how people react. Every now and then, I get emails from buyers from my online shop. They’ll say that my designs are really funny or that they’ve been looking for the design or that it’s perfect. Did you face any obstacles or discouragement when you started selling your creations on Redbubble? It’s a normal situation for someone to start a business. You don’t, right away, make a bunch of sales. It started slowly, but by the next month I had made double the sales. My stuff started getting all over the site. The process at the start was kind of slow, but it was fine, it’s going good. Do you have any tips for people who want to start selling their creations on Redbubble? The way I found my way around getting all over the site pretty quickly was to make sure the title of your product or design is commonly searched on the Internet. Normally what I would do is try to search something on google that’s related to the theme of the design or idea, and see if it comes up quickly. Also, they have a keyword place to put tags on the product. Usually I put popular vocabulary on there that’s related to the product, so it comes up more frequently on the Internet.